This summer we are excited to roll out our first-ever Summer LLM Pre-Bar Prep Program. This is a self-study program for St. John’s LLM students who are planning to take the bar exam in 2019, and it focuses on helping those students continue to improve language fluency as well as general and specific knowledge over the summer months. 1. An extensive reading program to build vocabulary, reading speed and fluency, and background knowledge. Time is perhaps the biggest challenge for LLM students on the bar exam. It takes LLM students longer to read the questions and process the information. Additionally, vocabulary and background knowledge can be significant impediments to comprehension. e.g., A fact pattern that references American football. And the best way to “tackle” all three of these aspects is extensive reading, i.e., 1) reading a lot; 2) of texts that are easy to read (90% of vocabulary is familiar); and 3) and of texts that are enjoyable to read (because if it’s not enjoyable, then students don’t read a lot). For our extensive reading program, we rely in a large part on Newsela, which contains a very large and constantly growing library of actual news articles and other texts, all re-written at 4 additional (and easier) levels. In other words, if an article is too difficult, you can simply choose an easier version to read. Or viewed from another perspective, there are tons of very easy-to-read and genuinely interesting texts which is fantastic for building reading speed and vocabulary. Additionally, Newsela has a trove of articles on law and American legal history and culture–all written at 5 different levels–including the Constitution, the Federalist Papers, Brown v. Board of Ed, and Plessy v. Ferguson. All of this content, including the non-legal content, is great for building the kind of cultural and background knowledge that American students learn growing up and that professors and test makers assume students possess. Additionally, each article (and each level of each article) has a 4-question quiz that can be used to check and see how well the student understood the article. Drawing on this resource, we put together a collection of law-relevant content that students can choose articles from each week. Using the tools provided via our Newsela account, we can easily track the students’ reading and quiz scores over the summer. Professor Kathryn Piper and I just finished the Bar Exam Language Support (BELS) course this past week and we wanted to share a few takeaways and things we learned given that this is a new course and, we believe, the first ever bar prep course at a law school that incorporates language learning pedagogy and perspective. 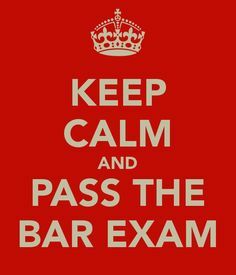 Working with familiar topics: By using bar exam prep questions that the students had already studied and written answers for in a separate bar preparation course, we cleared away most of the obstacle that is background knowledge. This meant that we had the luxury of being able to truly focus on helping them with their writing. If we had used unfamiliar questions, and they in turn wrote poor answers due to lack of comprehension of the question or topic, or inability to remember the rule, then we would not have been evaluating their writing, but rather their knowledge or their comprehension. And it would have meant that we would have spent time teaching the relevant bar exam topic rather than working on writing. Working with familiar topics to enable a better focus on writing opened the door to identify and work on the actual writing issues faced by our non-native English speaking students (NNES). While most of our interaction to date has been with the Transnational Legal Practice (TLP) and American Law: Discourse & Analysis (ALDA) LLM Programs, we’ve also had some opportunities to work with some students from the U.S. Legal Studies (USLS) LLM Program. All USLS LLM students are foreign-trained lawyers focused on passing the bar exam. Some are international students and others are immigrants living in the New York area. Given our location in Queens (the most ethnically diverse urban place in the world), this group often includes speakers of Russian, Spanish, Chinese, Japanese, and Arabic (among other languages) as well as speakers of various World Englishes.